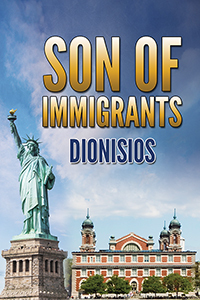 Dionisios’ “Son of Immigrants.” The absorbing chronicle of a man’s spiritual odyssey in America. Born in the Bronx, Dionisios’ life has spanned nearly a century of social, scientific, economic, and spiritual revolutions. This fascinating memoir offers the reader a panorama of U.S. history as seen through one man’s eyes, heart, and soul. Previous Previous post: 3 tips to write and publish your book in time for the holidays!